Thank you for visiting our new site. As an up-to-date business, we want to give you the opportunity to stay in touch with our restaurant and our offers. We are known for our traditional Italian cuisine and mouth watering specials every lunch and dinner. Our full menu is also available for take-out as well as for all your catering needs. You can contact Viola at 781-848-8980 for take-out and reservations. 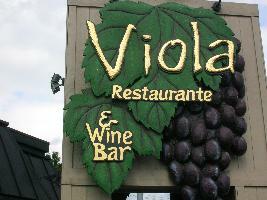 Viola is open daily Monday through Saturday at 11:30 am for Lunch and for Dinner starting at 4:00 pm. Sunday we open at 12:00 pm and serve Dinner all day. The next pages are just a sample of our menu. We will be updating the content shortly.